courses listed below at the Training Center. In this training, our fully certified instructor educates your workers in the WPS pesticide standards for Washington. Trainings are just $5 per worker and can be conducted in either English or Spanish. Trainings are offered every other Wednesday at our Training Center in Kennewick. To register your workers, login to your wafla membership account, click on the desired date below, and follow the instructions to register. 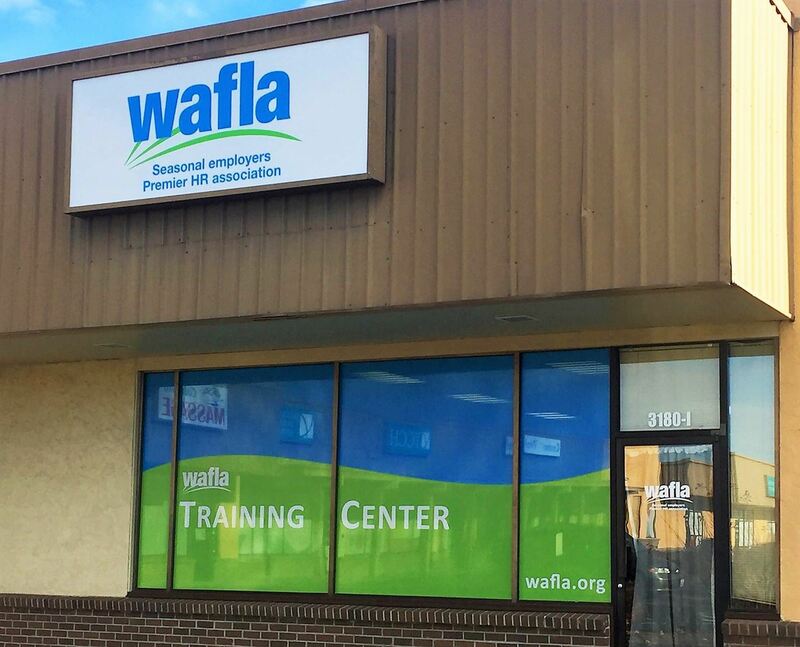 Register your workforce today below for upcoming courses! Harassment of any form in the workplace is a very serious problem. It destroys teams and can be very costly for an organization. During this training, we provide the participants with the tools and techniques necessary to prevent and stop any type of harassment in the workplace. By identifying the signs and applying a “zero tolerance” policy, leaders can create a safe and productive work environment. This training can be taught in English or Spanish, and can take place at our fully equipped Training Center in Kennewick, or at your work location. Learn more about our Harassment Hotline Service here. Need to conduct a meeting in Kennewick? This private conference room includes a speaker phone and video conferencing features. Available to wafla members at no cost. For questions, availability and to reserve, email Guadalupe or call the number above. This state-of-the-art training room comfortably seats up to 50 attendees (classroom style). Features include LCD projector/screen, podium and sound system. For questions, availability and to reserve, please email Guadalupe or call the number above.